Place the garlic and oil in a pan (the garlic should be approx. 1/2 covered), heat gently, fry the garlic until golden brown. Leave the garlic to cool in the oil. Add the basil, puree. 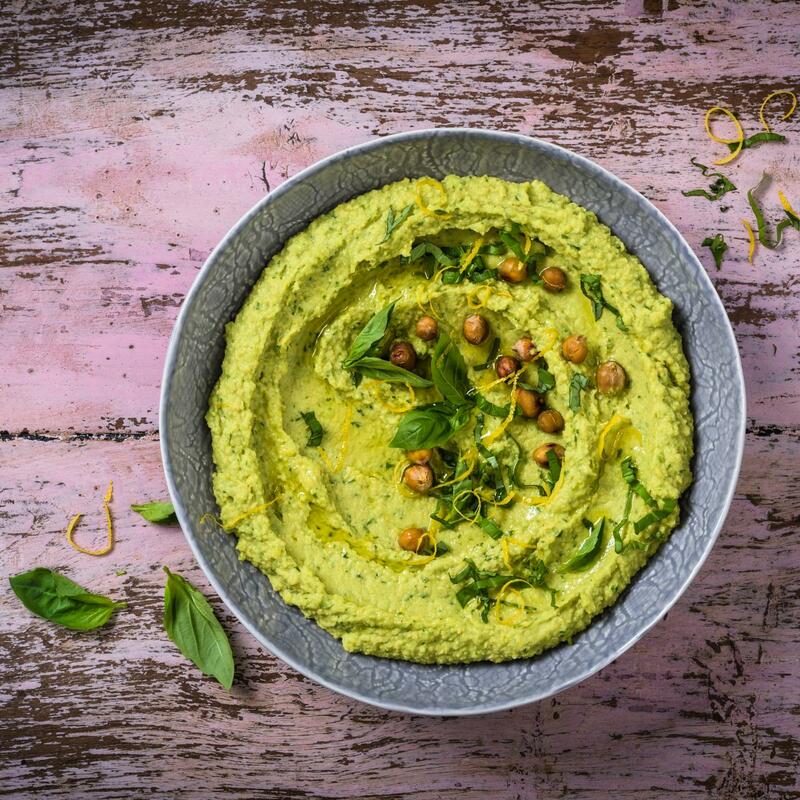 Place the chickpeas and remaining ingredients in a blending cup, add the garlic and basil oil, puree.